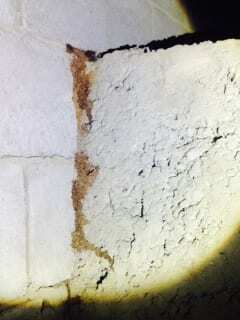 If you’ve ever pondered the question; “do termites ever travel over concrete”, then we can tell you that the answer is “Yes”! If there’s some tasty timber at the top of some concrete stairs, termites will build a path! Check out the photo.